This past Sunday we had wonderful services in all three churches. Our attendance in Phnom Penh was very good as was everyone’s attention during the preaching. I continued preaching in our series dealing with God’s power over Satan and the forces of darkness. We considered some of the lies that the devil tries to make us believe in regard to sin: 1) Sin is only sin if I get caught. 2) When others sin there might be consequences, but I’m smarter than they are. I can sin and get away with it. 3) It doesn’t really matter what the Bible says. If a certain thought, action, or philosophy is accepted by society then it is not sin. 4) I do so much service for God and the church and so if I sin a little it’s no big deal. God will understand. 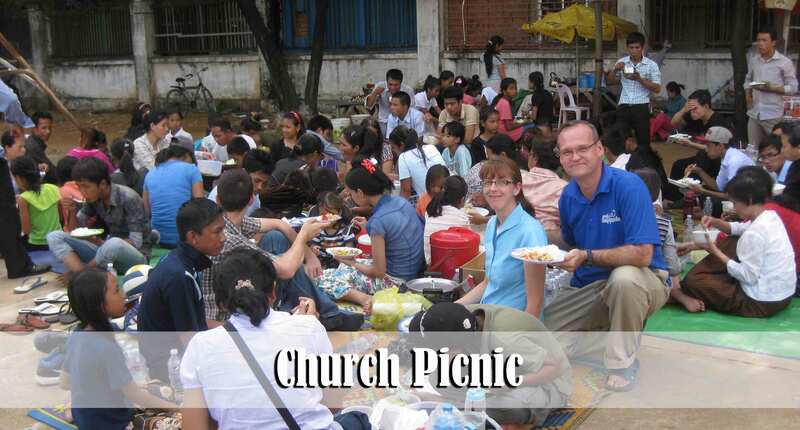 After the morning service in Phnom Penh we changed clothes and many of us went to the park for a picnic. This was our first church picnic and it went very well! It was a blessing to have about 75 folks take part in the picnic. Most of the men enjoyed playing volleyball while some of the teen girls played Frisbee with Debbie and I. Most of the women just enjoyed a time of fellowship out in the open air. After a couple hours of eating and playing sports, we all met together to read the Christmas story as recorded in Luke chapters one and two. We also spent a significant amount of time sharing testimonies of how the Lord has blessed our lives over the past twelve months. Everyone enjoyed this event so much that we plan to do it on a regular basis this next year. One of the biggest blessing of having the picnic was the fact that some of the newer people were able to get to know us better. It is so difficult on Sundays to have the time to fellowship together because of the busy schedule. It has been a blessing to have Rom attend most Sunday mornings for the past two months or so. You may recall that Rom’s wife, Srey, passed away this past August. 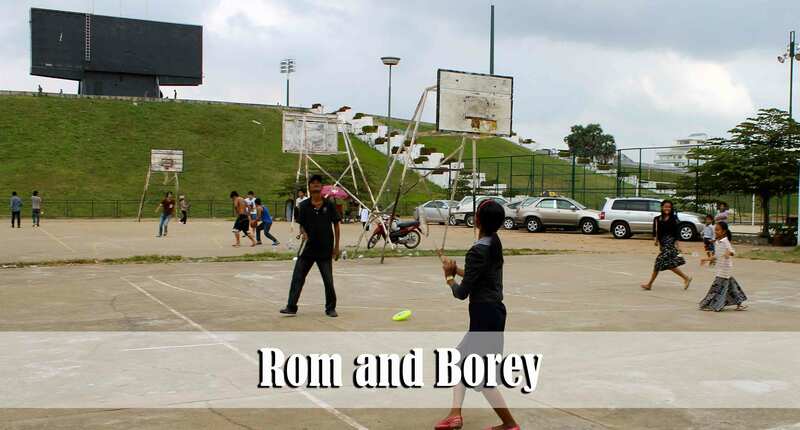 She left her daughter, Borey, basically in our custody because the situation at home with Rom was not safe for Borey. Since her passing, several of us have been reaching out to Rom and trying to win his heart. We praise the Lord that this past Sunday he not only attended the morning service but he was also sober! That is literally a first! He attended the picnic with the church and he seemed to have a great time. It was very touching to see him play badminton with Borey for the first time in her life! I know it was a very special time for Borey as well. When I spoke with her later about it, she smiled like I have never seen her smile. Please continue to pray that Rom will be saved very soon. This past Sunday the church in Prey Bang village had its highest attendance ever. 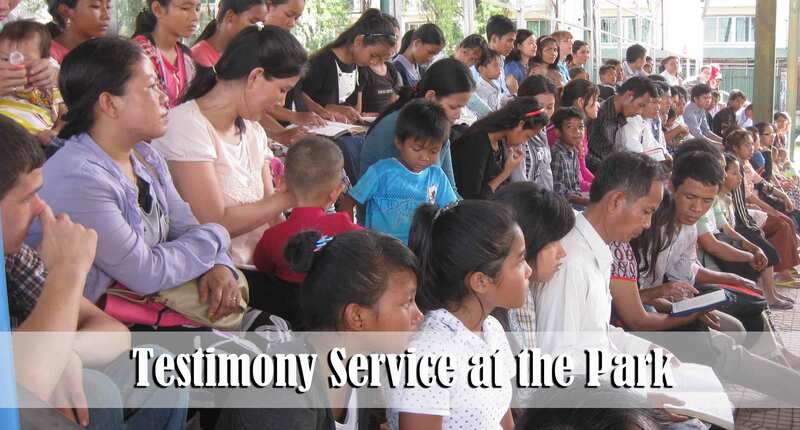 The folks there were very blessed to have nearly 20 new people attend the services from Si Tho village, a neighboring village about 4 kilometers from the church, where our soul-winners have been going for the past couple of months. Please pray for the many new contacts in Si Tho village. There are some people that Brother Keo and Brother Sinath have been witnessing to who seem to be very close to salvation. This past week Isaiah went to apply for his national identification card. During his interview he was asked what his religion was. When he said that he is a Christian the government worker responded with shock. He said, “Here at our office we only have maybe one in a thousand who tell us they are a Christian.” It is my understanding that the worker actually praised him for being brave enough to say that he is a follower of Jesus Christ. The worker understands that there may very well be more than one in a thousand who are Christians but that they are ashamed to let anyone know. We were all encouraged when Isaiah shared this testimony with us. It is a blessing to see young people letting their light shine even at the risk of being mocked! A couple of months ago Kanha started selling vegetables and meat out in front of her house in order to make a little extra money. You may recall that she was saved a couple of years ago and got married this past year. Kanha and her husband, Man, are very active with the teen ministry. In fact, they moved to this particular apartment in order to be in close proximity to some of the young people in the church with whom they are working. It has been a real blessing to see Kanha use her new business as an opportunity to witness to people. Everyone in her neighborhood knows that she is a Christian and that she loves the Lord. Debbie and I were walking back from making a visit and just happened to walk past her as she was selling some vegetables to this lady. Thank the Lord for faithful young adults who let their light shine! 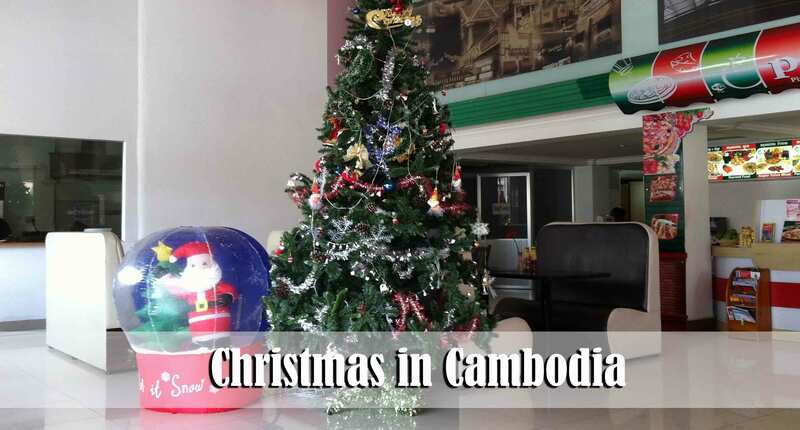 It is still a very strange feeling this time of year to see Christmas decorations in all of the modern stores and shops here in Phnom Penh. Of course the weather feels nothing at all like December would feel in America. (Although it got down to 70 degrees today. You should have seen the people here. They had on hats and scarves. One person told me the other day that they were sure it would snow soon… They have no idea!) Perhaps the strangest part of all is the fact that the modern malls are playing very beautiful Christmas hymns in English. Of course they have no idea what the words mean. It is sad in a way to hear these songs being played here in this Buddhist country over the speaker system but to realize that many, if not most, stores in the United States would not dare to play Christian Christmas songs for fear that they would be sued. 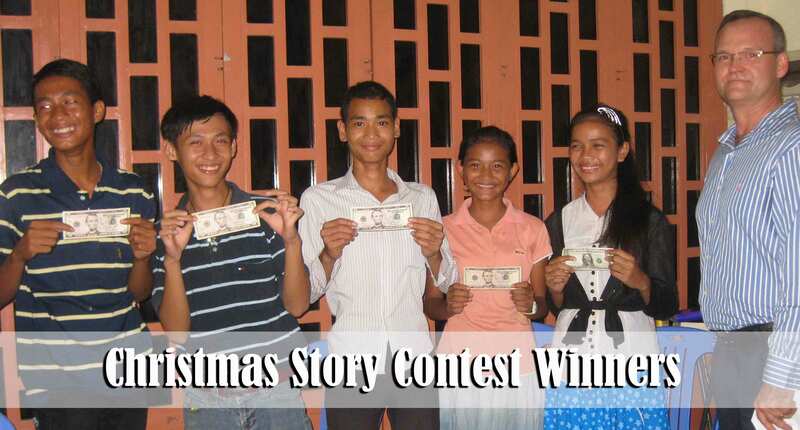 This past Saturday evening we had a Christmas party at our house for 25 of the faithful teens here in Phnom Penh. It is wonderful to know that all of these young people, with the exception of one, were saved here at Pacific Baptist Church. It was a wonderful time of fellowship, singing, competition, and food! 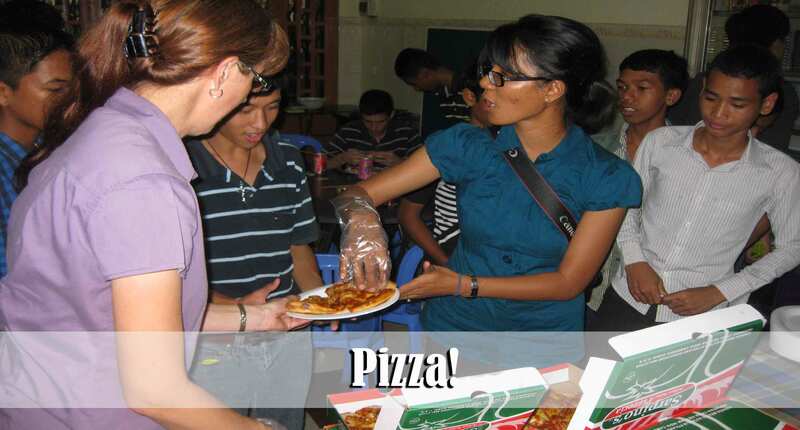 The young people here all love eating pizza and so we purchased enough pizza for everyone to have as much as they wanted. This was a once in a life time opportunity for some of these teens. We played many games and the young people were able to win prizes and candy. This particular game involved putting certain events that related to the Christmas story in the proper order. The members of the winning team each won $5. They were very excited. We also had a white elephant gift exchange. At first they were very hesitant to “steal” each others gifts but after awhile they got the hang of it and it was a lot of fun. 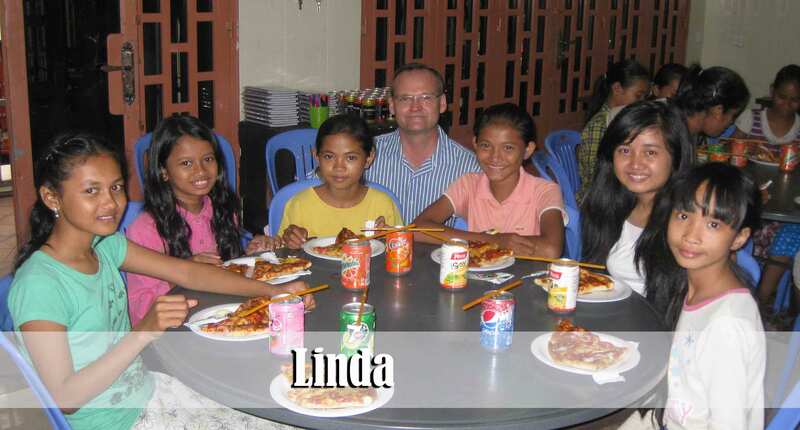 Linda was saved a couple of months ago and has been very faithful to nearly every church service. 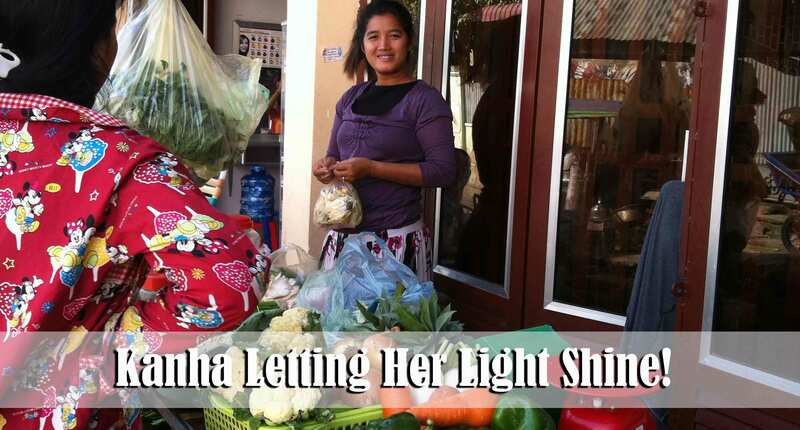 Recently her mom, Vine Srey, made a profession of faith, in part, because of the change that she saw take place in Linda. We are so thankful to be able to influence young people like her and many others for the Lord. Virak, Linda’s seventeen year old brother, has been watching her as well and has seen the changes that God has made in her life. This past week Brother Adrian was able to lead Virak to the Lord. Please pray that Virak will be faithful to church and that he will get plugged into the youth group. He seems to really have a heart for the Lord. 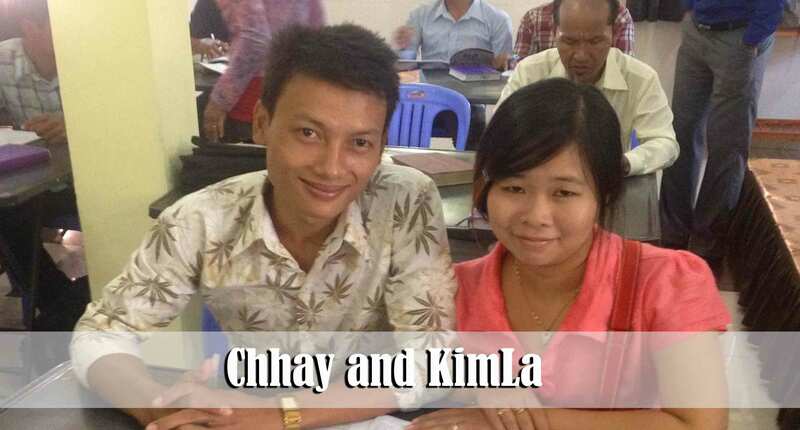 Please continue to pray for Chhay and KimLa and their walk with the Lord. They are both growing spiritually. Chhay has begun driving the Tuk Tuk to pick up children for the Anlong Tnout church each Sunday. As new parents of a baby girl they both want to learn as much as they can about how to have a Christian home. It has been a blessing to have them studying in the Bible Institute as well. Chhay is the son of a very popular Cham witchdoctor. Though his father died a couple of years ago, everyone in the Cham villages around Anlong Tnout village all know of his father and many of them know Chhay. Now that his father is dead, his mother has picked up right where he left off and has become involved in casting spells and other occultic practices. KimLa’s parents are both Buddhist and not very supportive of her decision to follow Jesus Christ. This past week Mrs. Has gathered several of the teen girls together and taught them how to make origami stars. 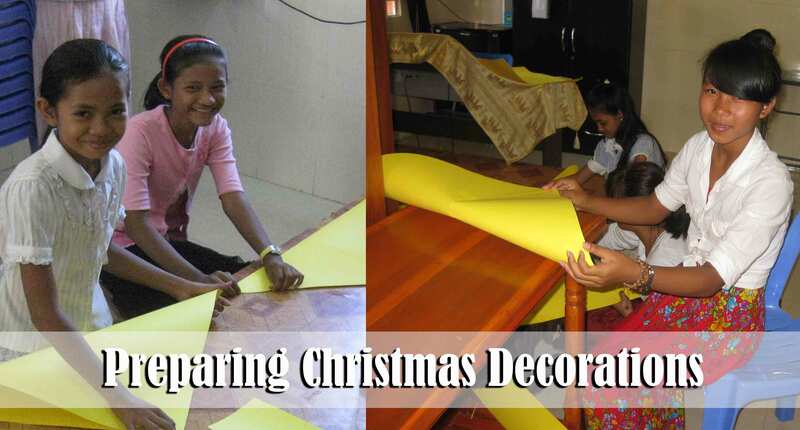 Tomorrow they will begin decorating the roof top for our special Christmas service this coming Sunday. Please pray for the service as we plan to have a 45 minute drama dealing with the story of Christmas. Many of the folks from our other two churches are planning to commute to Phnom Penh to join in the service as well. Pray for safety for the folks as they travel as well as for things to run smoothly during the service. I am sure that there will be some neighborhood people present as well who are not saved. Pray that the gospel message will be clearly presented during the play and that the power of darkness will be bound. Many of our folks here in Phnom Penh have worked very hard to memorize their parts in the play as well as about 8 special songs that will be sung during the program. We hope, Lord willing, to see a new church planted in Prak Pnou Village at or around the end of January. We have been going to this village now for some time and have a group of adults who have been saved as well as a small group of children. Lord willing some of our teens from Phnom Penh will be involved in helping to get this new church planted. A couple of weeks ago some of the students had a day off of school so they went with us to Prak Pnou to teach and follow-up on folks. It is always a great blessing to have them participate in the various village works. These kids are all from the city and so the village life is strange even to them. Grandma Kai is fairly representative of many of the folks who live in Prak Pnou. She is Vietnamese, speaks broken Khmer, can not read any language whatsoever, and is very superstitious. At 80 years old she is very proud of the fact that she worships every “deity” and does not “discriminate” against any religion. I teach her in Khmer but it is very difficult because of the fact that her language is so limited. More than likely we would have a better chance to reach her if we were able to do it in the Vietnamese language. While she will likely not be a part of the new church plant, there are literally hundreds of other Vietnamese adults and children who live all around her who we hope will become prospects. Our workers normally have around 30 children in the Prak Pnou Children’s ministry but depending upon the time of year the attendance can swell to 60 or more. Many of these young people are Vietnamese and are the children of fishermen. During certain times of the year the children have to help with the fishing and have no free time to do anything else, including attend school. Many of the families who live along the river front are not living in Cambodia legally and therefore they are vulnerable to various types of abuse ranging from loan sharks, to illegal eviction, to working at slave wages or worse. You may have seen the special documentary on CNN that is running this month dealing with the Child Trafficking that takes place here in Cambodia. If you choose to watch it, please be forewarned that it is quite frank and would definitely not be suitable for viewing in all circumstances. However, it is real life here in Cambodia. They featured one particular village in that documentary where trafficking is practiced, especially among Vietnamese children. 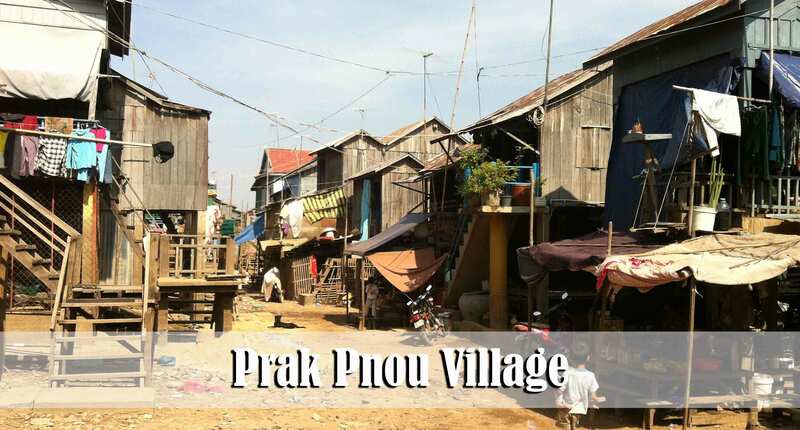 That village happens to be just down the road from Prak Pnou village. While we were out making some visits the other day I saw this poster on the wall. 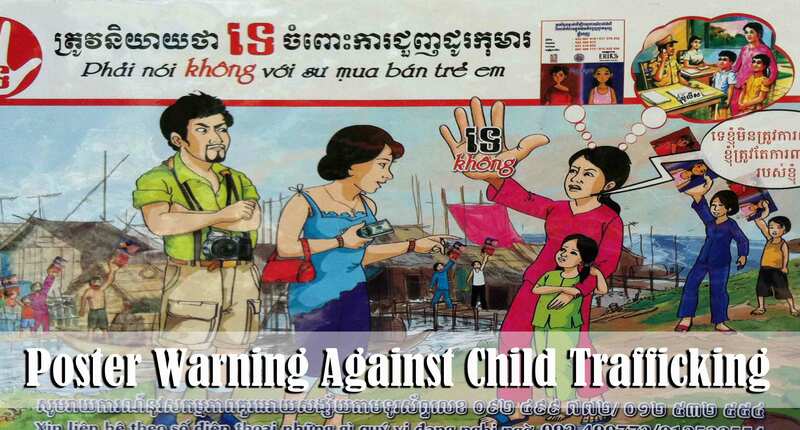 It is warning parents not to sell their children to the traffickers. Sad to say, it is not an uncommon practice. 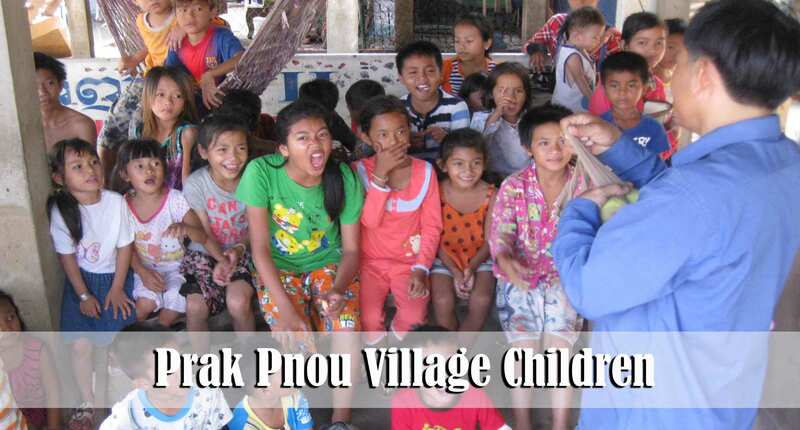 These two children (green shirt and red shirt) are Vietnamese and they both attend our Prak Pnou Children’s Ministry. Their mother is a professing believer and she attends our Phnom Penh church when her health permits her to do so. 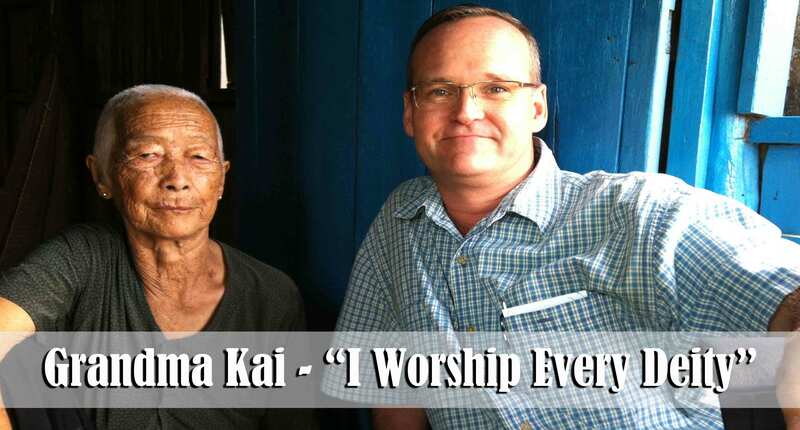 Once the church is started in Prak Pnou she will become a part of that church rather than commuting to Phnom Penh. Two months ago these children’s father died from a disease. Last month their mother came to meet with me and told me that she has the same disease and she will definitely die. She said it is just a matter of time. She begged me to promise that we would take her children once she dies. She is very fearful that they will end up becoming a part of the child trade as well because her extended family is very poor and does not want the burden of caring for her orphaned children. It is a very sad situation. Many of the families with whom we and the workers will be dealing in Prak Pnou have similar life circumstances. Please pray for this new church plant. Prak Pnou has been saturated with NGO groups preaching a social gospel and it has caused much confusion. P.S. 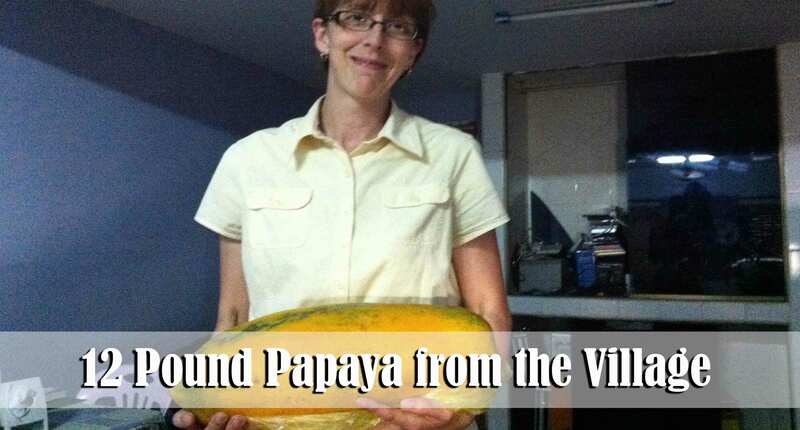 Have you ever seen a 12 pound papaya? Brother Maldy (the family who used to ride their bikes 26 miles to come to church before they were able to purchase a moped) gave it to us last week. It is from their own tree.